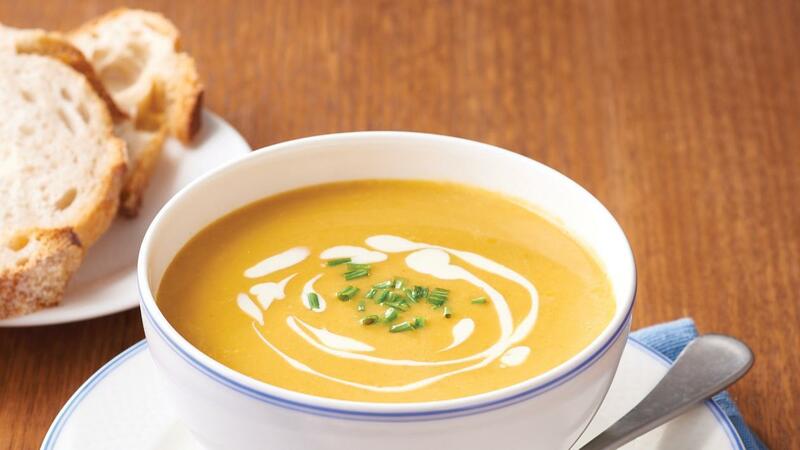 Creamy roasted pumpkin soup garnished with chives. Roast pumpkin with oil and cumin in oven until caramelised. Combine the CONTINENTAL Professional Cream of Pumpkin Soup Mix with water using a whisk. Bring to the boil. Add pumpkin and cream and simmer for 10 minutes.